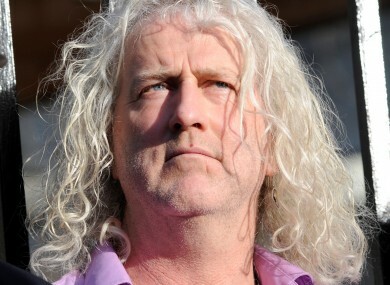 Mick Wallace has apologised for referring to Fine Gael TD Mary Mitchell O’Connor as ‘Miss Piggy’ in the Dáil yesterday. INDEPENDENT TD MICK Wallace has apologised for his comments in which he referred to Fine Gael TD Mary Mitchell O’Connor as ‘Miss Piggy’ in a recorded exchange in the Dáil yesterday. Wallace was recorded in conversation with fellow independents Shane Ross and Luke Ming Flanagan in which he is heard to say “Miss Piggy has toned it down a bit today” during the order of business in the Dáil yesterday. I don’t even want an apology, it’s over, I’ve forgotten it. I’m not that kind of a person that will be worrying about it. It’s hard to defend the indefensible. I’m very sorry for the offence caused to Mary. I’m completely out of order. Ming and Shane Ross had nothing to do with it, it was completely my fault. He said the reference was to Mitchell O’Connor’s handbag and the way in which The Muppet Show character Miss Piggy used to hit people with her handbag. Later she told RTÉ Radio One’s Today that if she had a handbag she would have clobbered him with it. I’m completely out of order and I don’t have a leg to stand on. There was just a bit of banter. Clearly it was in bad taste. I suppose if there was secret microphones put on most people in the country, I’m sure we’d hear things people wouldn’t like to have heard themselves say. Wallace said that he had no right to make such comments and added that he had been in touch with the Dún Laoghaire TD this morning but that she was very upset and didn’t entertain his apology. Mitchell O’Connor told Newstalk that she didn’t want to hear his apology when she spoke to him this morning. But she credited Wallace with contacting her, saying he had rung eight times “to be fair to him”. She added that it shouldn’t be about her and “three lads bantering”, adding “I’m over it!”. Neither Shane Ross nor Luke Ming Flanagan could be reached for comment this morning. Email “Mitchell O'Connor says 'I'm over it' after Wallace's 'Miss Piggy' comment”. Feedback on “Mitchell O'Connor says 'I'm over it' after Wallace's 'Miss Piggy' comment”.